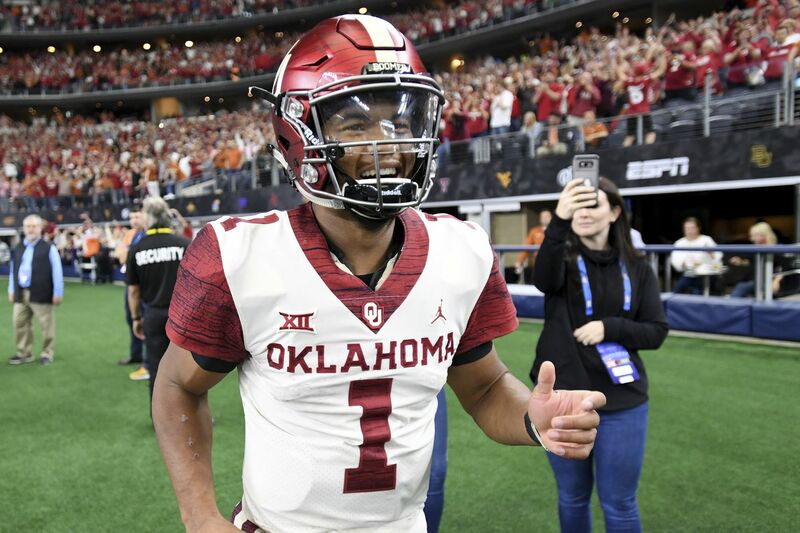 Kyler Murray celebrates after Oklahoma beat Texas in the Big 12 championship game on Saturday. Oklahoma is making its third appearance in the five-year-old playoff. Defending national champion Alabama has played in them all. Clemson is making its fourth straight appearance. Notre Dame is in the playoff for the first time, making it 10 teams in five seasons to participate in the playoff. Unbeaten UCF finished eighth in the final rankings, nowhere to be found in the committee's playoff discussion. The Knights will take their 25-game winning streak to a marquee bowl game, probably the Fiesta Bowl. The rest of the New Year's Six bowl pairings were to be announced later Sunday.